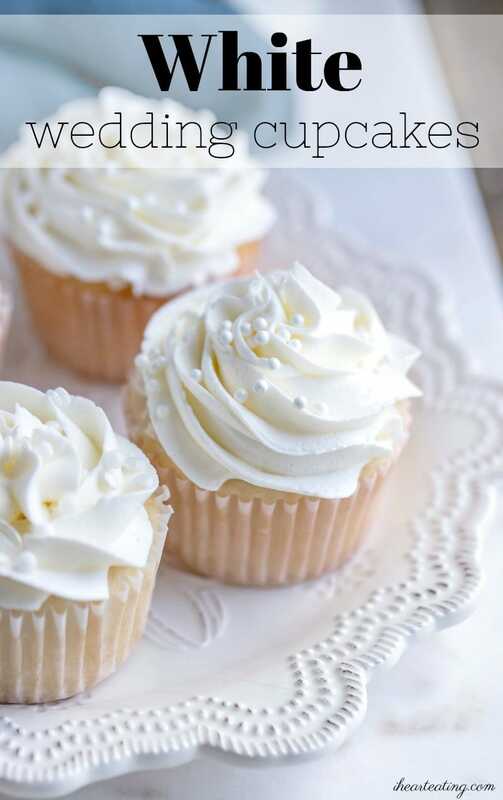 Wedding cupcake recipe! 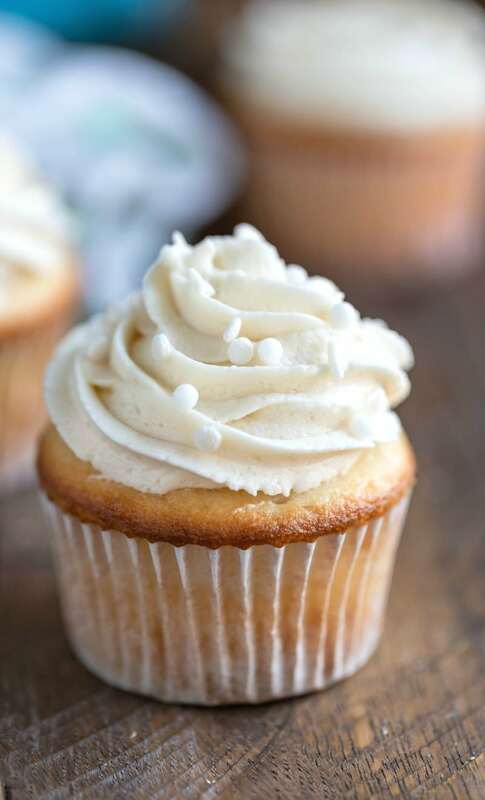 These white cupcakes begin with a cake mix, but they’re so moist and tasty no one will guess how easy they are. Perfect for birthdays, gender reveals, weddings, and more! Originally published 12/16/12. Last updated 4/4/19. People love weddings for different reasons. For me, the best part of the reception is the wedding cake. While most brides dream about their ring or their wedding dress, I wanted a delicious cake. And my favorite kind of wedding cake is a white wedding cake. It seems like making a good white cake should be easy, but it’s not. I’ve tried so many white cake recipes that just don’t work out, and I always end up going back to a cake mix. This cake starts with a cake mix, but it ends up tasting like a great bakery cake. 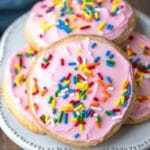 It is light and tender and moist with a light vanilla flavor, and it makes a great birthday cupcake, great base for gender reveal cupcakes, and more! Begin by whisking the dry ingredients together in a large bowl. I like to mix the batter by hand, but you can use an electric mixer if you prefer. However, if you use a mixer, just be careful not to overmix. Divide the batter between the prepared muffin tin cups. I like to line the muffin tin cups with paper liners, but you could grease and flour if you prefer. Bake until cupcakes spring back when lightly touched. A toothpick should come out clean. Be careful to watch the cupcakes as they can quickly go from pale to golden brown. 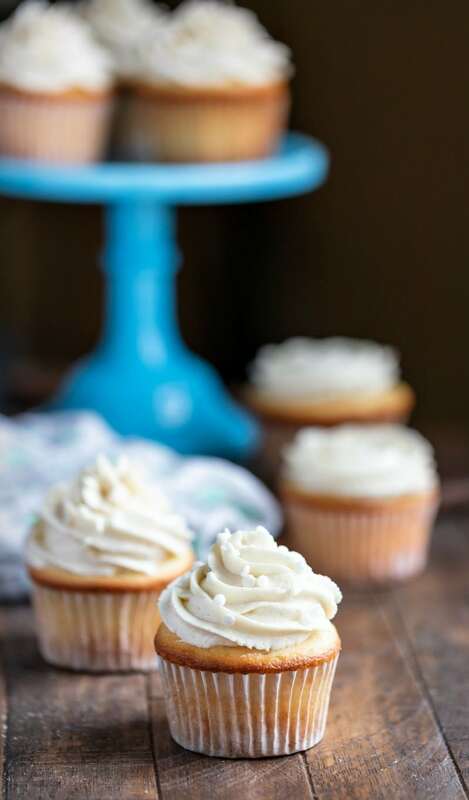 I usually use either Whipped Buttercream Frosting or Vanilla Buttercream to frost these cupcakes. You can also use my chocolate buttercream frosting if you’d like a chocolate/vanilla combo. How long will the cupcakes keep? The cupcakes will keep for up to 4 days when stored in an airtight at room temperature. You can! I let them come to room temperature and then store them, unfrosted, in a single layer in a resealable freezer bag. 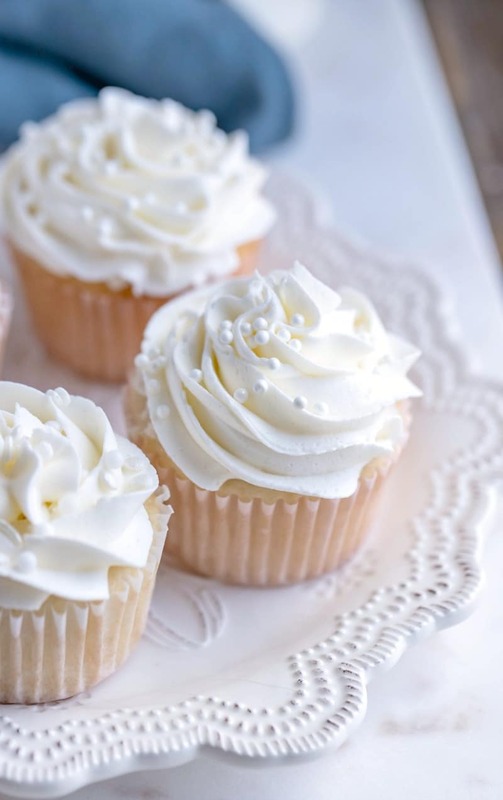 If you’ve tried this white cupcake recipe, don’t forget to rate the recipe and leave me a comment below. I love to hear from people who’ve made my recipes! 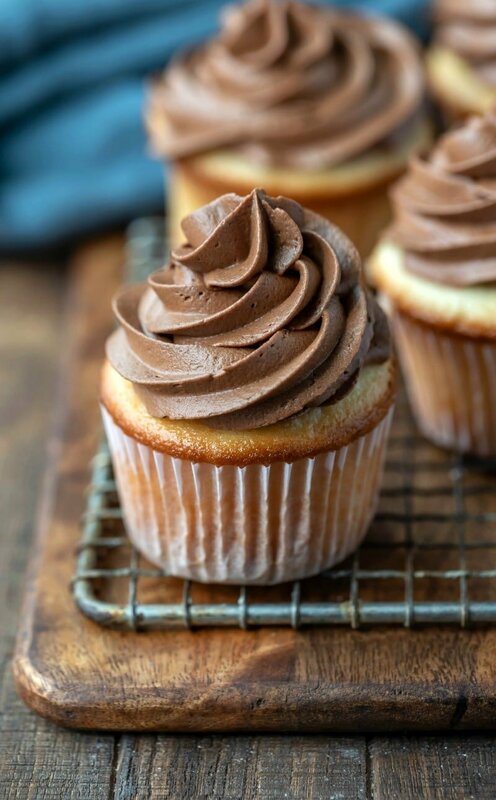 Moist white cupcakes that begin with a cake mix. Preheat oven to 325°F. 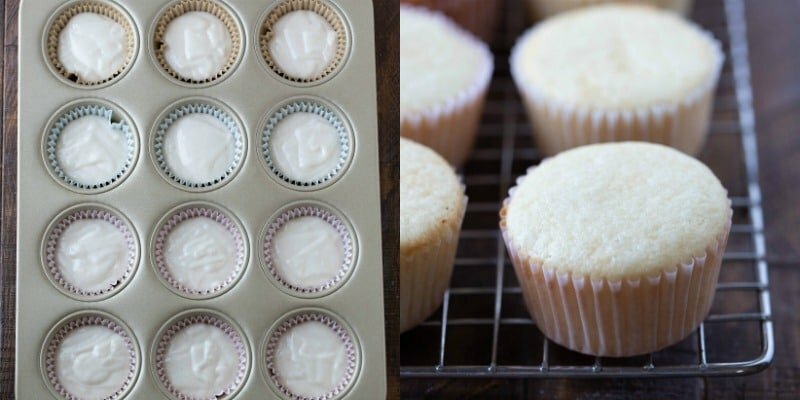 Place cupcake liners in cupcake pans (You'll need approx. 32). 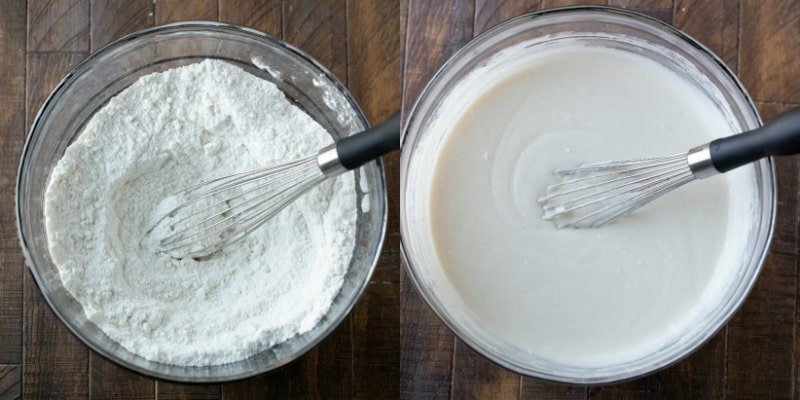 In a large bowl, whisk together cake mix, flour, sugar, salt, and baking soda together. Add water, butter, buttermilk, vanilla, and egg whites; mix until well-combined. Divide the batter between the prepared cupcake tins filling them about 3/4 full. Bake about 22-27 minutes, or until toothpick inserted in center comes out clean. I haven’t tried baking this recipe in rounds, but I don’t see why it wouldn’t work. Thank you! I shall try and see how it goes ? So glad I found this recipe… was delicious and it got so many compliments!! Thank u! i assumed that was sugar sprinkled on top and someone said salt was a great idea – is it salt?! Thanks for hosting! Happy New Year to you, too! These look quite elegant and very tasty! These sound Delicious.. Thanks for sharing on Foodie Friends Friday.. These look really yummy! Thanks for linking up. Following you on Pinterest! Thanks, and thanks for hosting your weekly party! Looks beautiful! Love a white cake! Thanks for sharing at Foodtastic Friday! Thank you! I appreciate you stopping by! I don’t have a piping bag, so I used a baggie with the corner snipped off to frost the cupcakes. So, I’m glad to hear that it looks ok =). This is a perfect way to dress up a boxed cake mix and turn it into something special. Thanks very much for sharing! These look great for a wedding. No matter if it’s a box cake or not…it’s the end result. If it tastes good, then it’s good! Thanks! That’s so true. The taste really is what counts. Those look and sound delicious! I usually use a box recipe only but this may be worth a try. Going to pin it :) Found you on Wednesday Whatsits!